When I look back at the greater part of this year I believe that I can label it a stressful year. Stressful for personal reasons, you know the sort of reasons that you don’t look for but seem to find you. The sort of events that you can’t predict nor want to happen, but just have to nut up and handle. They just seem to happen and you handle them the best you can. Although I would say it is hard to maintain a positive and happy attitude. Since I’ve been in a sad little haze I thought it would be better not to pollute the virtual reality of others with my forlorn thoughts. I’ve intended to write posts, really I have, but never seemed to have the heart to do it. In my spare time I found myself watching videos, as I was offered trials for Netflix, Amazon Prime, Crunchyroll and Blockbuster Video. I’ve felt a bit overwhelmed by all the content offered, and filled with the panic to try and watch as much possible to make a decision. I’ve come to the conclusion that too much video can be a bad thing, thus I don’t think I have the desire to continue my subscription to any of these services for now. Sadly another free trial was offered for Dramafever, when it rains it pours. 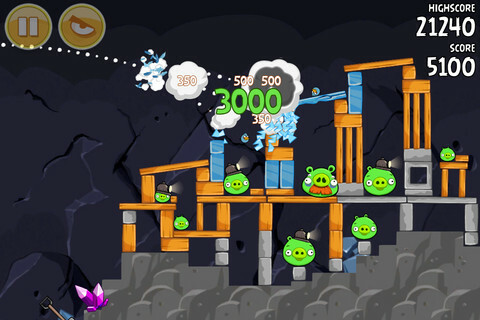 The other time killer was Angry Birds. My question is why are they so mad at the pigs. After a while I was pretty cheesed at the porcine green creatures too, as my failed attempts yielded smug smiles from these mocking cartoon piggies. I would become quite agitated after a while. I am not so sure it was effective as a stress reliever, probably more like a series stressful moments. After a few weeks I just had to lessen my game time. I tend not to play video games, but I think I can easily become addicted to such things. Just looking at those piggies is making me feel antsy.